You don’t need to be a political insider to understand Dave Loebsack’s days in the U.S. House of Representatives are getting numbered. Loebsack seems likely to dispatch with power his second time opponent, Chris Peters from Coralville, this year. He could continue to run for Congress for several more terms. I think he should continue to run and would be willing to chip in to buy a wheelchair to get him to the floor to vote should he become infirm as he ages. It’s not about me. What about when Dave decides to put away his running shoes? He reaches the Social Security Administration’s “full retirement age” later this year. Will he start a third career? Will he run for the U.S. Senate? Will he continue to serve in the U.S. House? Will he kick back with his retirement packages from Cornell College and the House and take it easy? Any of those is possible and only Dave knows. I don’t care to speculate about his plans. The risk Second District voters face when Dave moves on is an open seat becomes more vulnerable to a Republican takeover. Dave created a trove of institutional political knowledge about the district since first being elected in 2006. Presumably he will be willing and able to help a potential successor learn what he’s learned. As we saw in 2014, Tom Harkin’s departure from the U.S. Senate did not go well for Democrats. Harkin knew the political landscape of the state as well as anyone and that didn’t help Democrats win his seat. Loebsack’s first election to the House was a reaction to the incumbency of Jim Leach, and a repudiation of President George W. Bush. When Bush was reelected in 2004, Democratic voters were activated for change. Leach, partly through his participation as House Banking Committee chair during the Whitewater investigation of the Clintons, caught shrapnel from the wave election that was 2006. Those of us making political telephone calls at the time heard voters ready for a change. There were enough of them to tip the scales to a Loebsack win. Those dynamics don’t exist today. 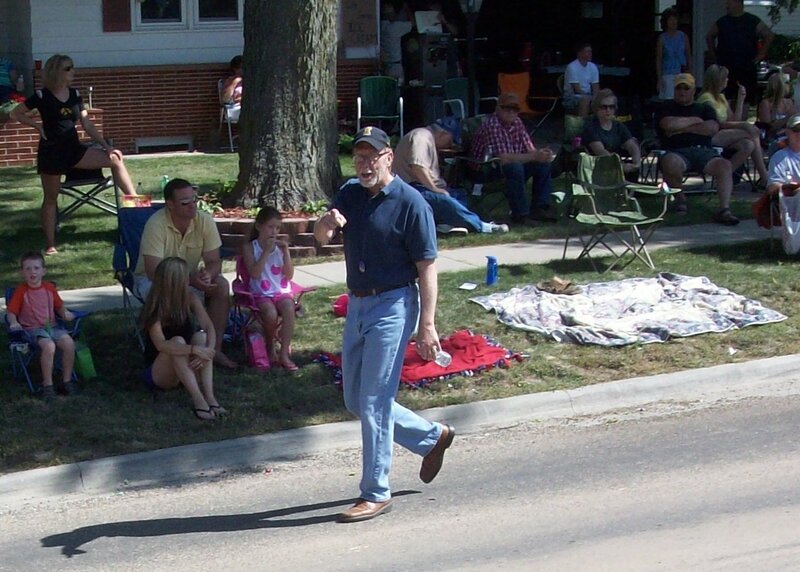 Loebsack has been able to survive the Republican resurgence during the last four cycles. That doesn’t mean a potential successor will get elected. Voters don’t change that much but political dynamics get reset in an open race. I expect the first election once Dave announces retirement will be a barn burner. Who could replace Dave Loebsack? A few names have been suggested, but it’s been scuttlebutt, gossip and wishful thinking thus far. It makes sense for a potential candidate to have deep grassroots political experience as Loebsack did, or significant service in the Iowa legislature. However, the electorate seems to be moving out of the age of reason into darker territory. Presently, that’s not a question on the minds of many Democrats I know. We just feel Dave will always be available, regardless of reality, reason and logic. Loebsack reaches full retirement age on Dec. 23. He may not be ready to retire from the House, and many Democrats, including the author, would like to see him seek another term in 2020. However, the day is coming and preparation to find a successor should begin if it hasn’t already. What is that process? I don’t know. If it’s an open race, anyone could run, and several probably will. For now, the work is to reelect Dave Loebsack in 2018 and give him some help in the other Iowa Congressional Districts. That’s what many of us will be doing over the next three months with an eye toward the future.